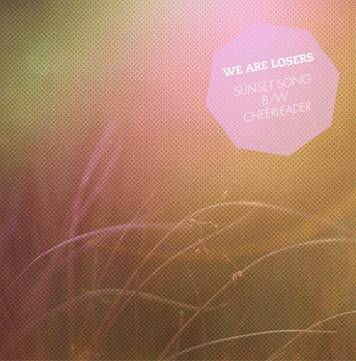 On Monday the 18th, Ireland's 'We Are Losers' release their debut single featuring 'Cheerleader' and 'Sunset Song'. Starting out as a bedroom project of guitarist and vocalist Gavin Elsted; Stephen Colan, Bronwyn Murphy-White and Gary Clarke soon joined to became 'We Are Losers' and started making a name for themselves in Dublin's indie scene. Releasing their single through Leeds based 'Dance To The Radio' this band are one to listen out for. I would recommend this band to fans of 'The Pigeon Detectives'; they are pure unadulterated indie pop at its best! The single is available on 7" for an extremely reasonable £3.50 from the link below!